GammaFV is a native macOS application. Optimised for both Retina and non-Retina displays. Extremely useful for determining which ground features were generating lift or sink. Map can be scaled and panned with Multi-Touch gestures (E.g. pinch to zoom). Each flight in a log file containing multiple flights can be analysed separately. GammaFV is designed with privacy in mind. Your IGC files remain on your Mac and are never uploaded to the internet. 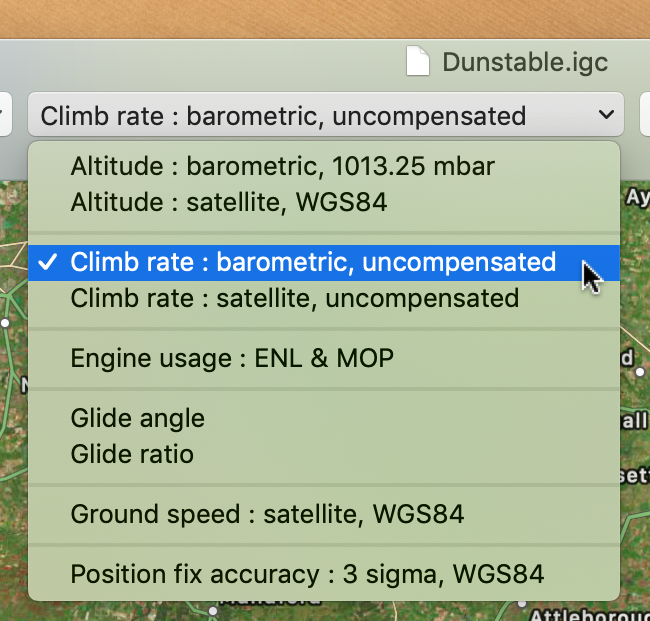 Engine usage is derived from the IGC file's Environmental Noise Level (ENL) and Means of Propulsion (MOP) data. 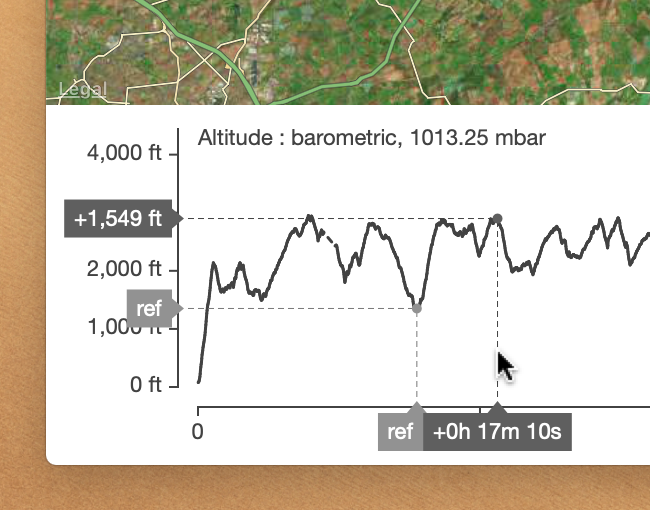 Moving the cursor over the altitude graph displays the flight state at the corresponding point in time on the flight information display. 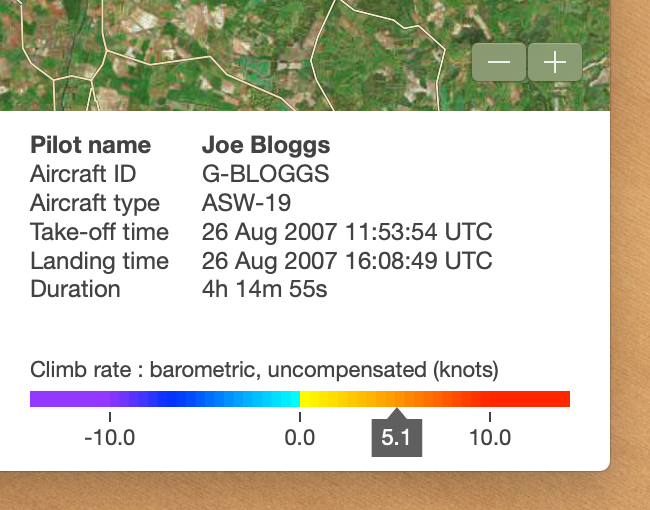 Clicking on the altitude graph places a reference marker from which time/altitude deltas and averages are calculated and displayed. Configurable between metric (m, km/h) and classical (ft, knots) units systems. Display includes pilot's name, aircraft ID, aircraft type, take-off time, landing time and flight duration. 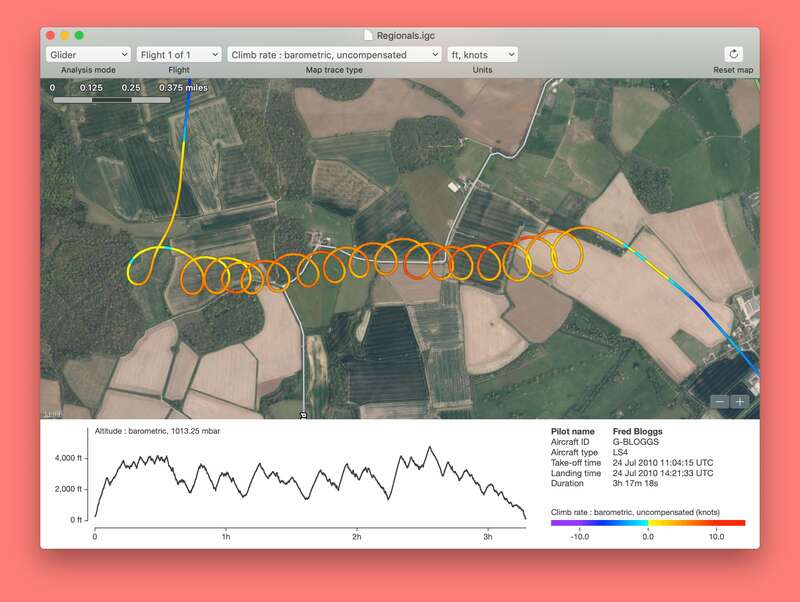 Flight data can be exported to a Comma Seperated Variable (.CSV) file for easy import into scientific / engineering analysis tools such as Python and MatLab. Purchase now from the Mac App Store. GammaFV is not certified for, nor intended for use in, flight safety related activities. 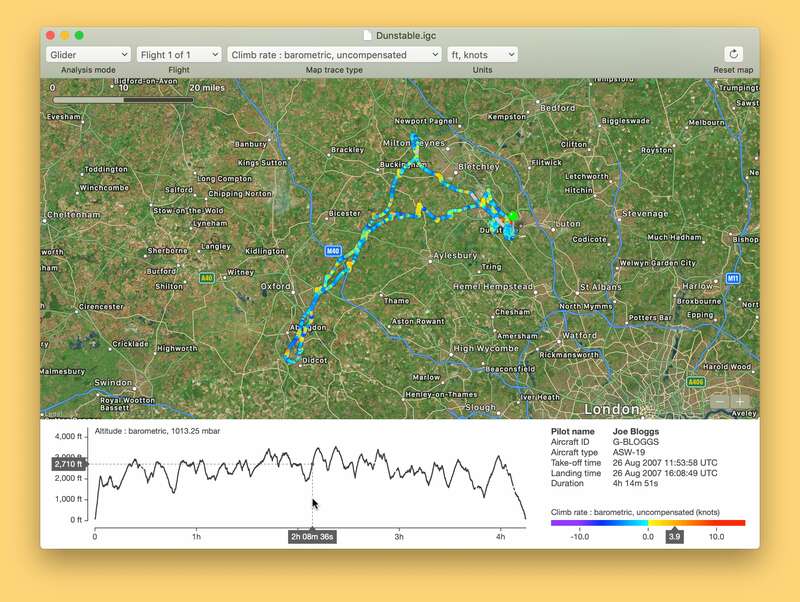 Such activities include, but are not limited to, pilot hours tracking and airframe flight hours tracking. Anhedral Aerospace Ltd. accepts no liability for the accuracy of the information provided by GammaFV. Follow @GammaFV on Twitter for the latest announcements and information. GammaFV is an Anhedral Aerospace Ltd. product. Anhedral Aerospace Ltd. is a private limited company registered in England. Registered Office: Brambles, Sugar Lane, Dersingham, King's Lynn, Norfolk, United Kingdom PE31 6HX. Company Number: 9583440. GammaFV and the contents of this website are Copyright © 2019 Anhedral Aerospace Ltd. unless otherwise stated. Apple, the Apple logo, Mac, macOS, Multi-Touch, OS X and Retina are trademarks of Apple Inc., registered in the U.S. and other countries. App Store is a service mark of Apple Inc.